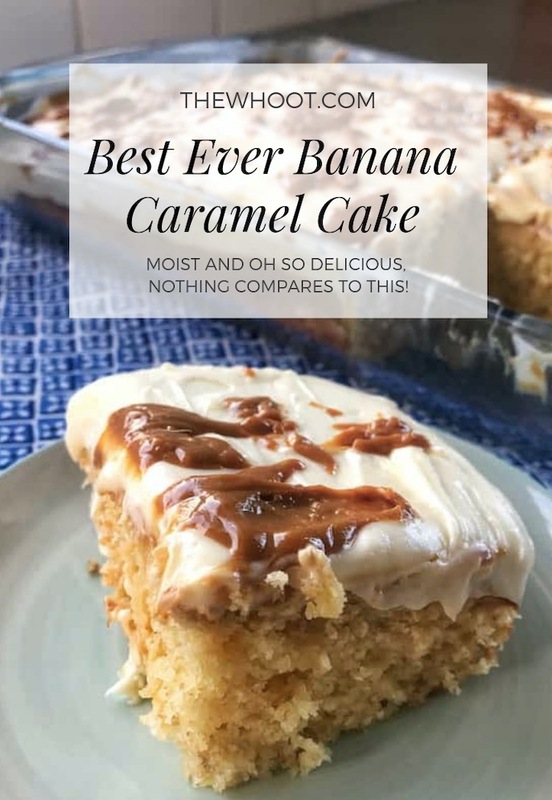 A moist and deliciousbanana cake is topped with sweet cream cheese frosting and stuffed with warm caramel. It’s the ultimate classic poke cake recipe and you’ll love it. What could be better than a banana cake topped with cream cheese frosting? One that’s filled with a caramel surprise! 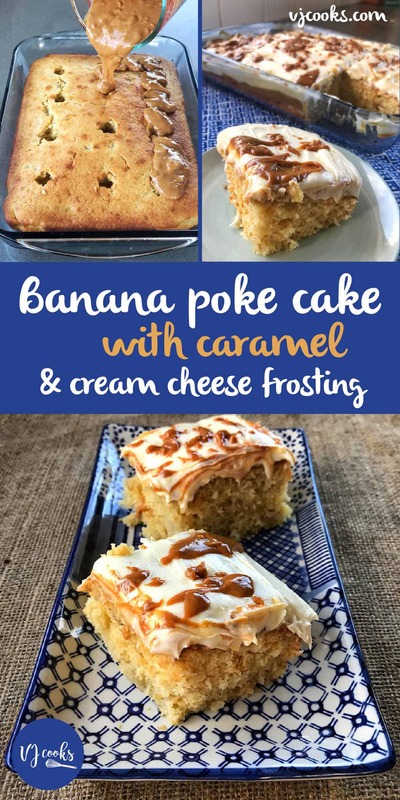 This Banana Caramel Surprise Cake is like a classic poke cake but filled with caramel. We’re excited to share and it gets rave reviews. 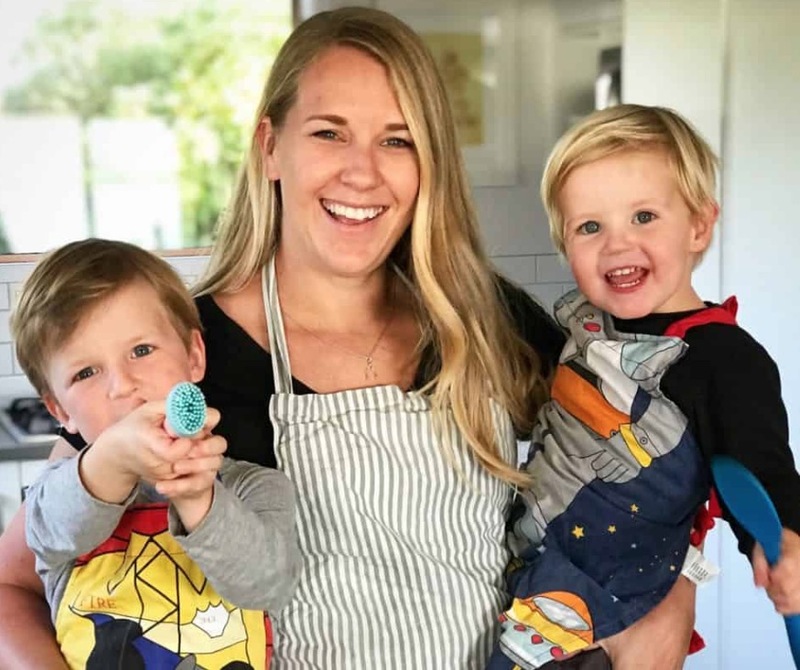 Vanya is ready and waiting to show you how to get her Poke Cake just right. We highly recommend that you view her one minute video for the best results.